Nice website! That was our first impression of SpeedyPaper.com. Unfortunately, that’s where the positive impressions about this service stopped. It didn’t meet our expectations regarding quality, affordability, and customer support. We’ll give you more details in the review that follows. The list of services is quite extensive. There’s no clear list at the website, but you can see the papers that are available for order in the price form and order form. From what we noticed, SpeedyPaper delivers content for all academic levels. You can get an essay, research paper, business plan, book review, critical thinking assignment, and much more. MA and PhD students can get their theses and dissertations. The company also delivers job application documents, as well as application papers for college and university. The only problem is: SpeedyPaper does not have the capacity to deliver all these types of content. The prices are clearly listed in a chart. The usual essays are affordable. 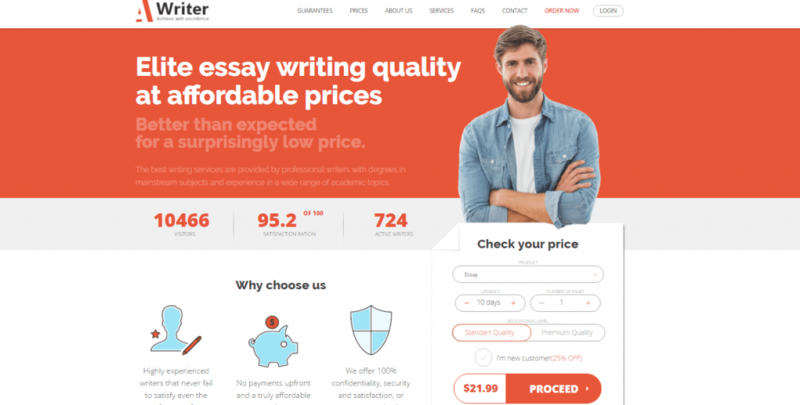 The quotes start from $9 for High School level with a deadline of 14 days, and range up to $51.49 per page for PhD level with a deadline of 6 hours. The prices for Admissions, however, are quite expensive – from $35 to $92.49 per page. Note that the deadline of 3 hours is not available at this website, and the longest deadline is 14 days (the options usually start with 10 days at other website). Thus, the quotes for the longest and shortest deadlines may give you the wrong impression that this service is more affordable than most others. In fact, the prices are average. As for the discounts, there are none. When you realize that other services give similar prices and deliver better quality under a discount, SpeedyPaper.com falls behind the competition. We wanted to see how the company dealed with important orders, so we ordered a term paper. There was no discount, and this kind of project is long, so the price was not as affordable as we assumed. That would be okay if the quality was good. But, it wasn’t. There was no communication with the writer whatsoever. We tried to reach him, but had no success. We received a generic term paper with paraphrased paragraphs from Wikipedia and other obvious online sources. That’s not something a student wants to pay for. There’s a live chat, but the support representatives ignored us when we complained about the quality of the paper. They said it passed plagiarism detection engines, so it was unique. Yes, it did pass Copyscape, but this was a paraphrased paper. That’s not unique at all, and it would fail according to the standards of any professor. The other contact options include email and phone, as well as social media pages. This is nothing more than an average player in the essay writing industry. The prices are affordable, but the lack of discounts draws you a different picture. When we realized that the writer delivered paraphrased content, we were very disappointed.